There are many compressed air filter types for various pneumatics machines, including intake filters, particulate filters, activated carbon filters, coalescing and cold coalescing filters. High-efficiency imported glass fiber and foam ensure maximum oil wet dust and water droplet filtration and draining. The optimal design and filter media used for our compressed air filter minimize pressure drop and keep running costs down. Welcome for your visit ! 1.What is the working principle of the compressed air line filter? A: The general compressed air line filter is composed of fiber medium, filter screen, sponge and other materials. The solid and liquid particles (drops) in the compressed air are condensed on the surface of the filter element (inside and outside) after being intercepted by the filter material. 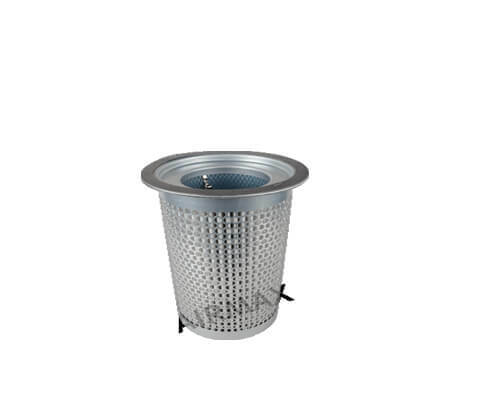 The droplets and impurities accumulated on the surface of the filter element are deposited by gravity to the bottom of the filter and then discharged by an automatic drainer or manually. 2.What are the characteristics of glass fiber material used in compressed air filter filtration? A: Glass fiber can effectively separate lubricating oil droplets with diameters from 50 to 0.01 μm. It does not need to be absorbed or absorbed during filtration. And it is very effective and superior to other materials. 3.What is the simple working process of a high efficiency coalescing line filter? A: After the compressed air enters the middle of the filter element, it is collected by the filter layer by gravity, collision, interception and osmosis. When the oil droplets are removed by the filter layer, they are first collected. Small oil droplets are first polymerized into large oil droplets, and when the mass of the large oil droplets is large enough, it will settle to the bottom of the filter layer. It then flows into the filter and is removed from the system by manual or automatic draining. 4.How is the grade of the compressed air filter specifically divided? A: The general compressed air filter grade can be divided into pre-filtration, primary filtration, fine filtration and activated carbon filtration. The pre-filter generally filters out particles with a diameter of 3 to 5 μm. The initial filter generally filters out the particles of O.5 to 1 μm in diameter and the residual content of the oil mist is 1 ppm w/w. The fine filter generally filters out particles of 0.01 μm in diameter and the remaining oil mist. 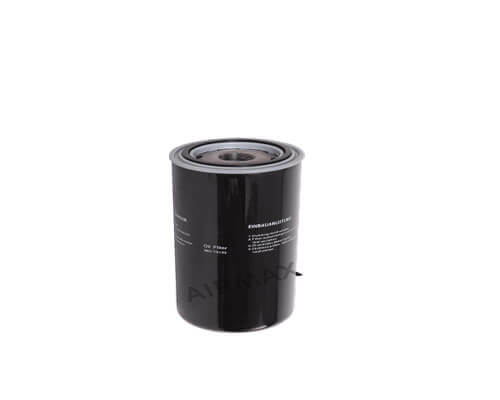 The content is 0.01 ppm.The activated carbon filter is mainly used to remove odor and oil vapor (the residual content of oil mist is only 0.003ppm). 5.What are the applicable occasions for different grades of compressed air filters? Answer: The pre-filter is generally used downstream of the compressor (aftercooler) and is not required for use. The primary filter is generally used for tools, motors, cylinders, and the like. Fine filters are generally used for painting, injection molding, instrumentation, control valves, transmission, agitation, electronic component manufacturing, and nitrogen separation. 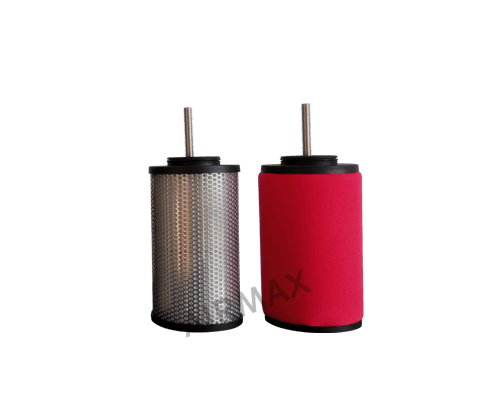 Activated carbon filters are generally used in food and pharmaceutical manufacturing, breathing air, gas processing, and the like. 6.What is the relationship between compressed air filters efficiency and air temperature? A: The temperature of the oil and water contained in the compressed air affects the efficiency of the filter. For example, when the temperature is 30 ° C, the oil content flowing through the filter is 5 times that at 20 ° C; when the temperature rises to 40 ° C, the oil content flowing through the filter is 10 times that at 20 ° C. Therefore, the compressed air line filteris generally installed at the lowest point of the compressed air system. 7.When to change the compressed air line filter cartridges? A: The replacement period of the screw compressor filters is determined by its pressure drop. Generally, the pressure drop exceeds 0.68kgf/cm2. The filter differential pressure gauge pointer points to the red area, or it needs to be replaced after working 6000-8000 hours (one year). . The activated carbon filter is replaced when the smell is detected downstream. 8.Why should I regularly change the compressed air filters? 9. What should you pay attention to when installing the compressed air filters? A: (a) The working pressure should not exceed the maximum pressure indicated by the filter. 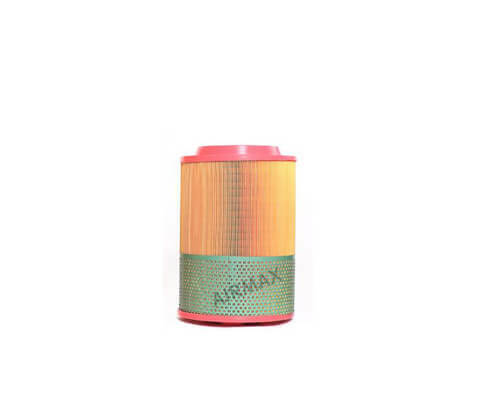 (b) The filter is usually installed after the aftercooler and the gas tank, as close as possible to the point of use and the lowest temperature. (c) The filter should not be installed after the quick opening valve and prevent backflow and impact. (d) The filter should be installed vertically with sufficient space underneath to replace the filter element. (e) Larger filters should be properly supported in the pipeline.